Rippon Tor – Grid ref: SX 746756 Height: 473m a.s.l. 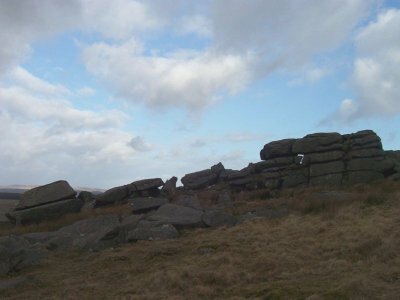 Rippon Tor has a trigonometric survey pillar at its summit. 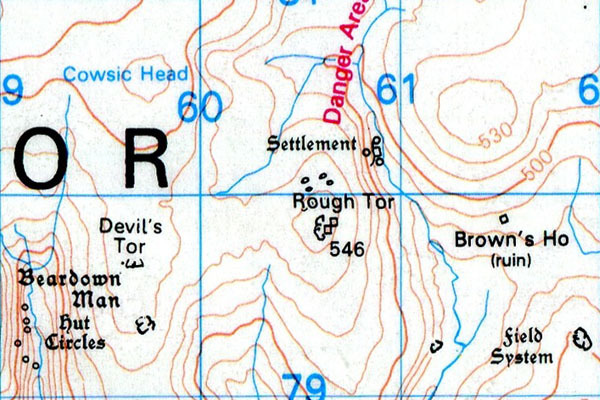 Rival Tor – Grid ref: SX 643882 – Height 421m a.s.l. Rival Tor is also known as Rippator. Rook Tor – Grid ref: SX 602617 Height: 290m a.s.l. Rook Tor is not a summit. Roos Tor – Grid ref: SX 543766 – Height 454m a.s.l. Roos Tor is a fair trek onto North Dartmoor and recommended as an exploratory route toward the more remote parts of Dartmoor. 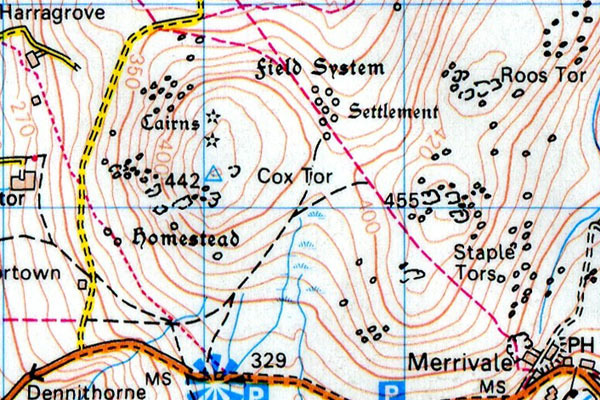 There is plenty of navigational exercises which can be practised around this tor along with some very well established bronze-age settlements. A ‘red flag’ flying high on the tor indicates that ‘live-firing’ is taking place and that it is dangerous (and illegal) to progress further than the ranging posts further onto the moor. At all other times however the moors are open to all. For firing times please check the MOD timetable. Rough Tor – Grid ref: SX 606798 Height: 547m a.s.l. 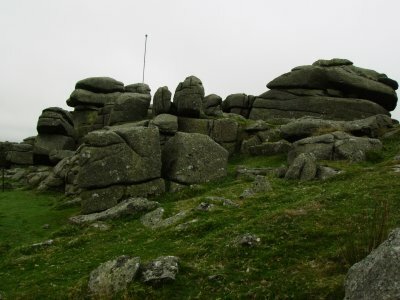 Rough Tor, not to be confused with Rough Tor on Bodmin Moor. Rowtor – Grid ref: SX 593916 – Height 468m a.s.l. 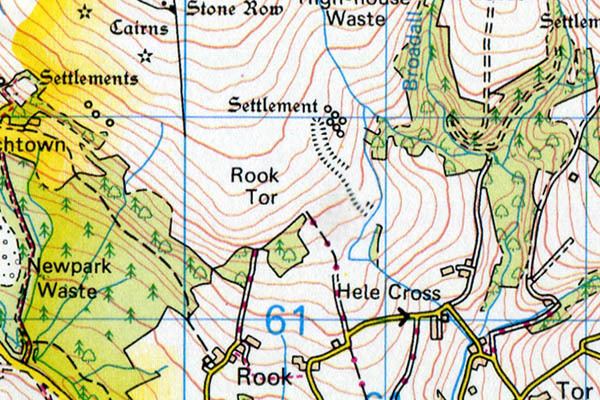 Rowtor is incorporated within a large clitter/boulder field. Rundlestone Tor – Grid ref: SX 577746 Height: 480m a.s.l. 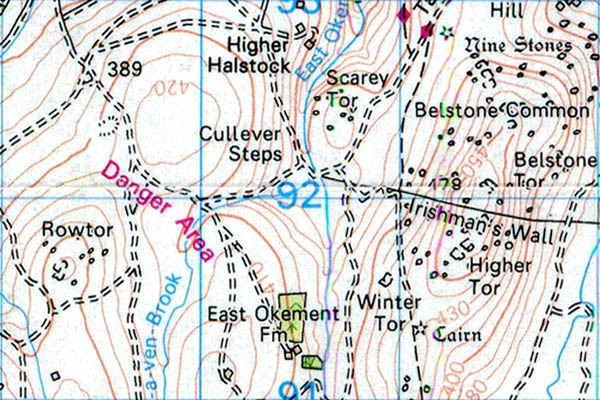 Rundlestone Tor is part of the ridge that forms North Hessary Tor. Rundlestone Tor can be found as you walk up the fence line on the North face of North Hessary Tor from the B3357 car park. Far from being interesting this Tor is rather bland and like its’ taller cousin (North Hessary) loses its’ beauty by the obvious stone fences and man-made constructions surrounding it. 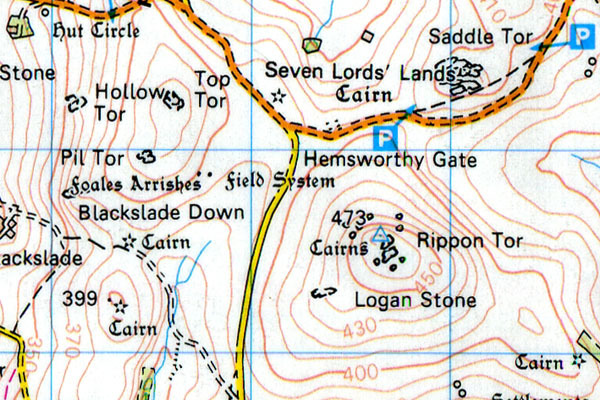 The more interesting tor of this upland area is the more remote ‘Hollow Tor’ to the West of Rundlestone. 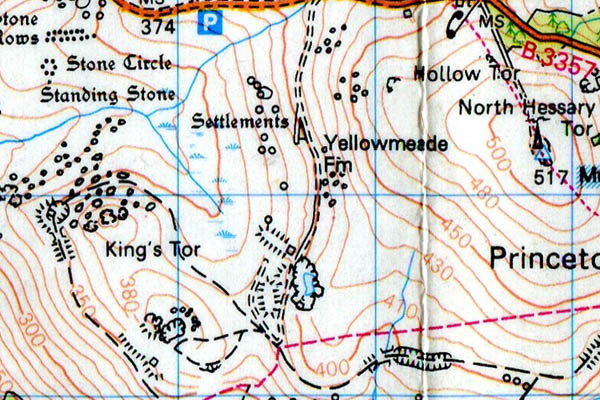 Even on the 1:50k Rundlestone Tor is included by crag feature only, its name completely omited. 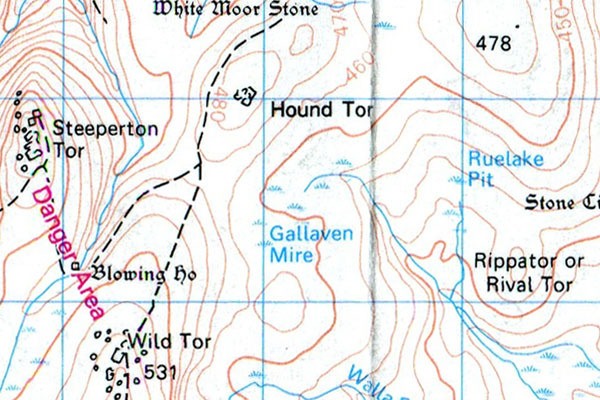 The feature is located above the ‘T’ of ‘Hollow Tor’.